Written on July 30, 2018 . This month sees a fourth contract awarded to Granada for Beatrice Offshore Windfarm Limited (BOWL) – one of the largest private investment projects ever undertaken in Scottish infrastructure. Under this new contract, Granada will ensure that all 84 davit crane units installed on the project are commissioned in accordance with current legislation and with Granada’s original equipment supplier requirements. Each of the Python cranes – a design unique to GMH – has been specifically tailored for the Beatrice project, with one Python crane fitted to each of the wind turbine foundations and two more cranes fitted on the OTM platforms. 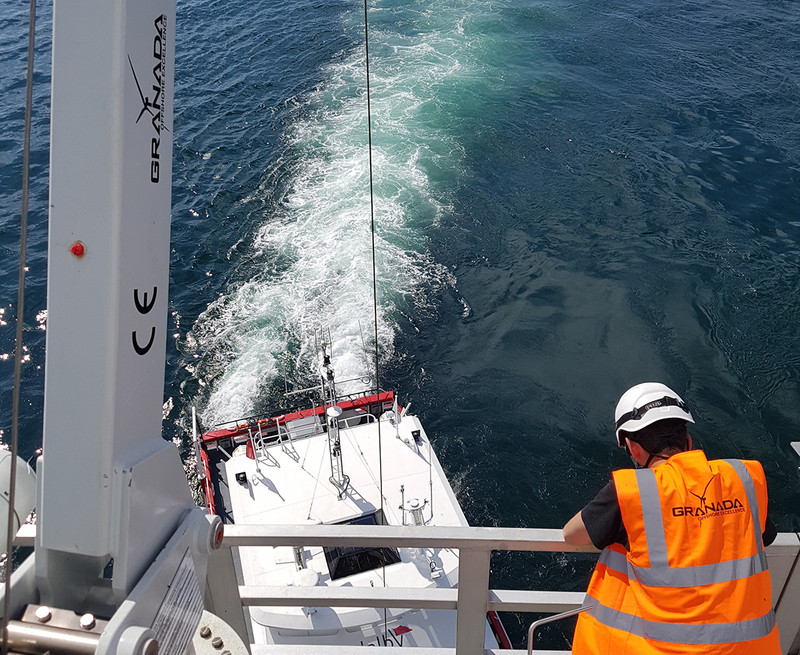 In September 2016, Granada were contracted by both Bladt and Smulders to deliver the davit cranes for each company’s share of the Beatrice foundations, with the third contractor, Burntisland Fabrications, awarding the job to GMH the following month. With Beatrice currently in turbine installation phase, this new contract will see Granada’s engineers onsite and offshore for nine months, while the wind farm is completed.